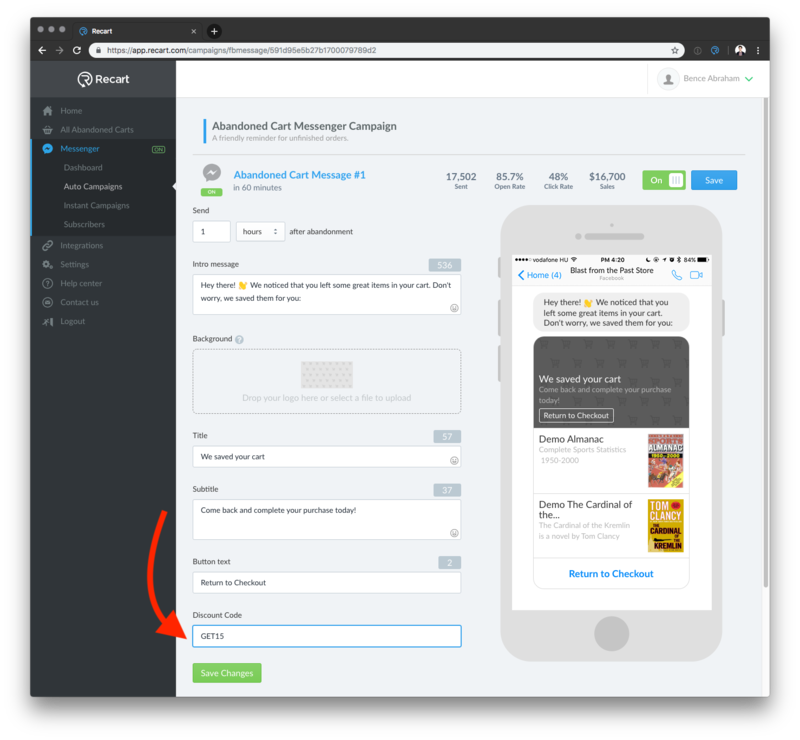 How can I add a discount code to my Messenger Campaigns? Adding a discount code to your Marketing Campaigns is usually a good idea — It gives an extra incentive to your customers to return to your store and complete their order. 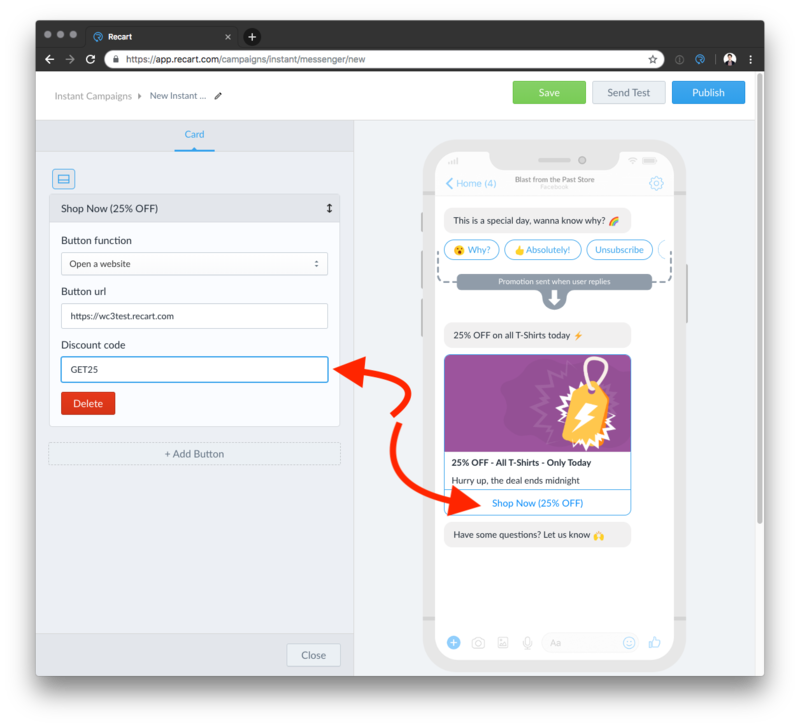 Now you can even include automatically applied discount codes to your messages, so your customers will automatically see the discount code applied on their cart without having to enter the code manually. This feature is available for Shopify and WooCommerce users. If you are running WooCommerce, please make sure that you update the Recart WooCommerce plugin before adding discount codes to your campaigns. It's really simple to get started with automatically applied discount codes in Recart. Just open the Campaign Editor for any Recart Facebook Messenger Campaign, and look for the Discount Code field. As always, if you have any questions, we are happy to help — just get in touch with our Customer Success team, and we'll help you get started.